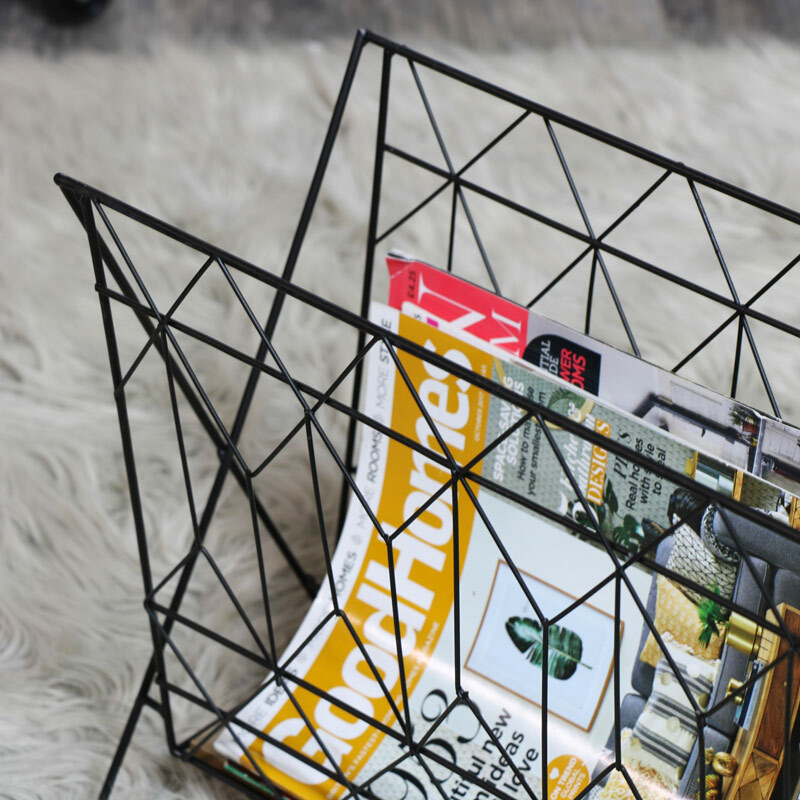 Keep your home neat, tidy and organised with this stylish magazine rack. Perfect for holding all those magazines and your daily newspaper and favourite books all in one place. Wire metal frame in a black painted finish and natural wood base. This will be ideal for placing in the living room, office, hallway or bedroom. Whether placed in the hallway or at the end of the sofa, this office a practical and stylish storage solution for your home. 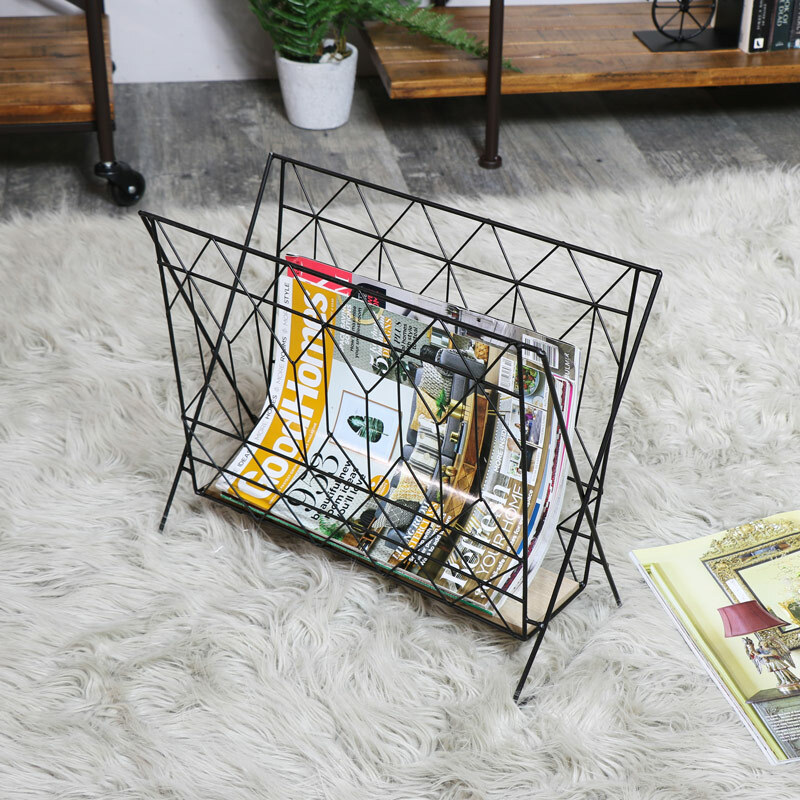 Keep your home neat, tidy and organised with this stylish magazine rack. Perfect for holding all those magazines and your daily newspaper and favourite books all in one place. 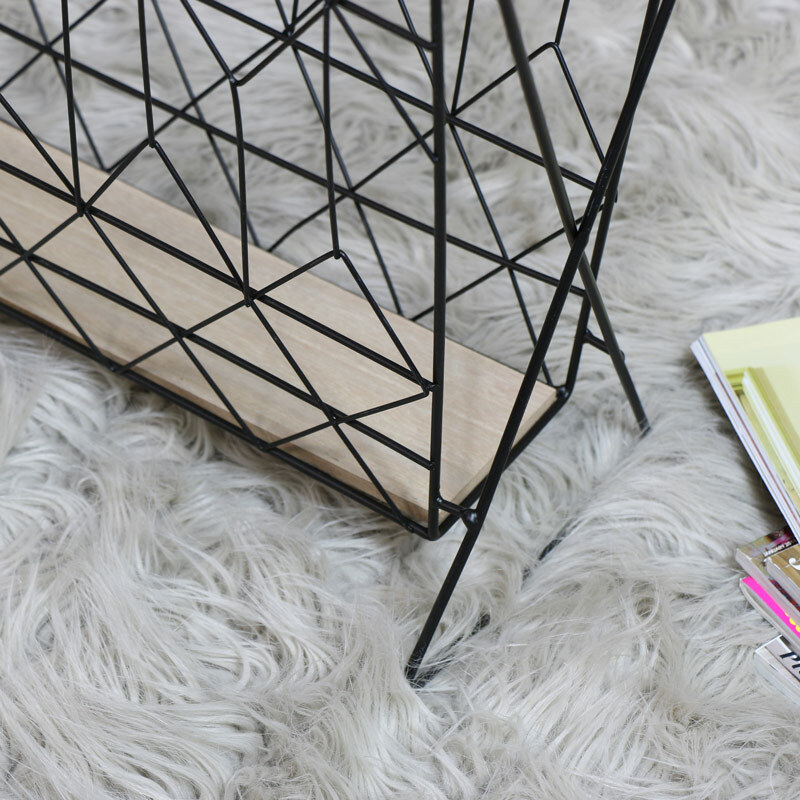 Wire metal frame in a black painted finish and natural wood base. This will be ideal for placing in the living room, office, hallway or bedroom. Whether placed in the hallway or at the end of the sofa, this office a practical and stylish storage solution for your home. Constructed with a wire metal frame in a black painted finish with a natural wood base. The magazine rack comes fully assembled.